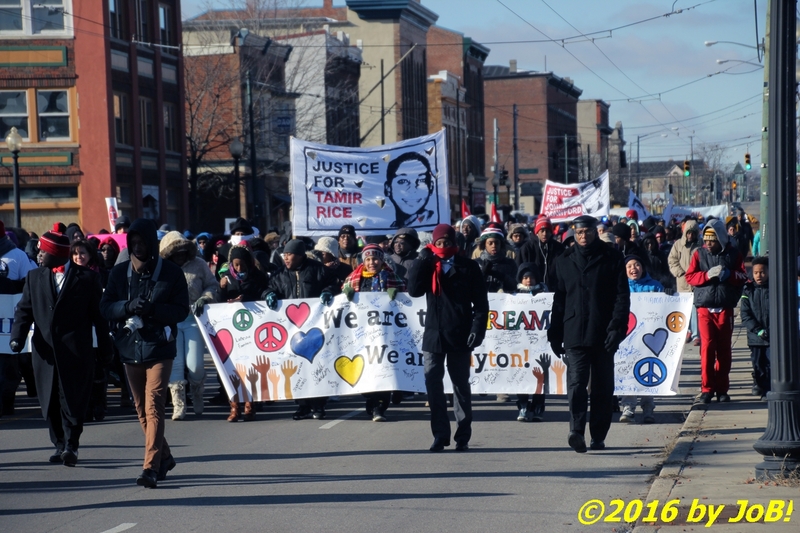 Beginning at the Drew Health Center on the city's west side, the marchers headed east along West Third Street--co-named to honor Dr. King--to trek the approximate two mile distance to the Dayton Convention Center. 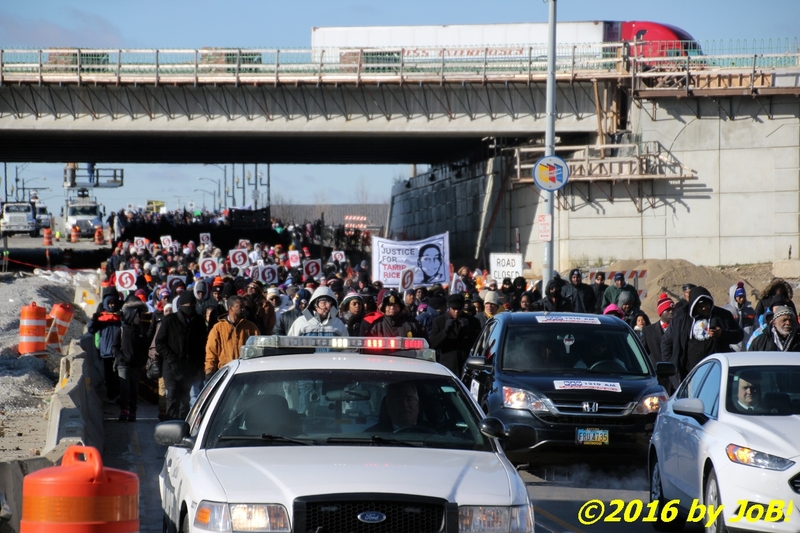 The march was briefly halted on the Dayton Peace Bridge to include student and faculty members from nearby Sinclair Community College. The masses were eventually directed south along South Main Street to arrive at the rally destination. 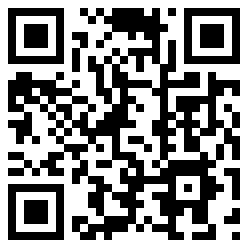 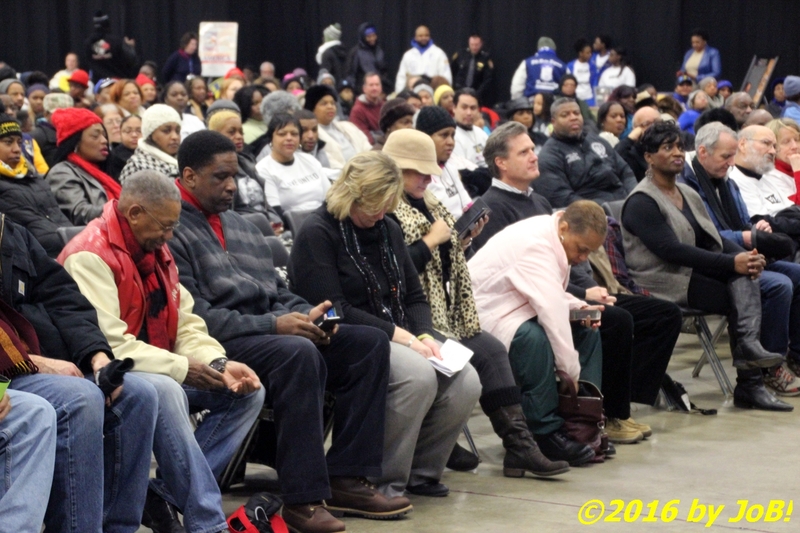 Once at the convention center, the attendees were provided a program to reflect upon Dr. King's vision of racial harmony and community involvement. 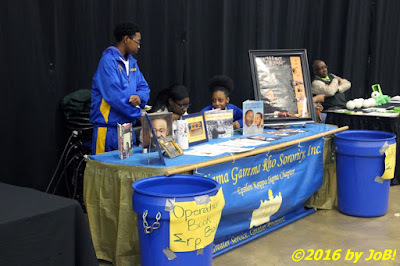 Various information booths were set up along the main exhibit hall and several high profile speakers that included US Representative Mike Turner and Dayton mayor Nan Whaley provided their individual MLK-related perspectives to the crowd. 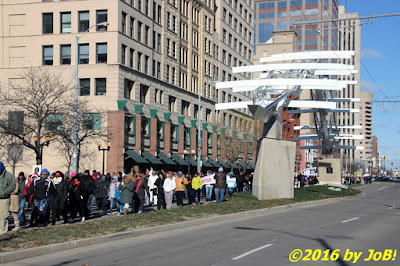 The capstone event, a celebration banquet themed "I'm Still Here" was to be held on Monday evening at that same downtown location. 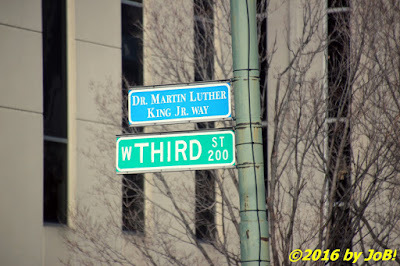 The main route of Monday's march to the Dayton Convention Center followed West Third Street that is also known as Dr. Martin Luther King, Jr. Way. 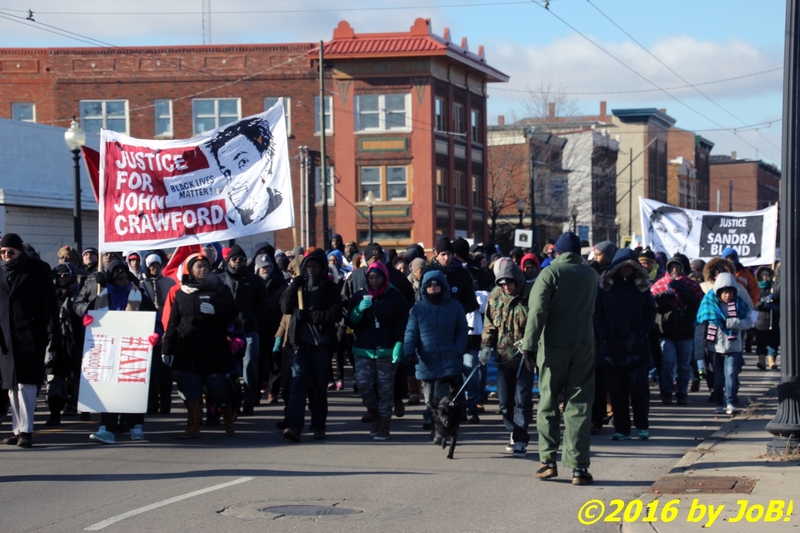 Banners calling out recent African-American victims of police violence were displayed during Monday morning's MLK Memorial March in Dayton, Ohio. Marchers approach the Dayton Peace Bridge that crosses over the Great Miami River into downtown Dayton during Monday morning's MLK Memorial March. 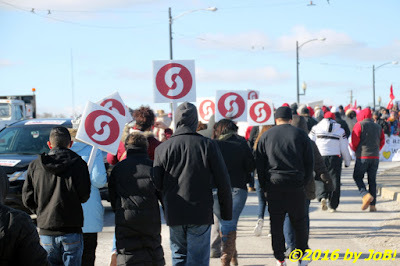 Students and faculty members from Sinclair Community College join the marchers on the Dayton Peace Bridge for Monday morning's MLK Memorial March. 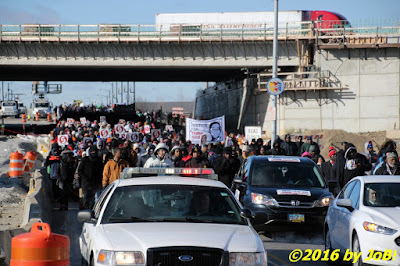 Although reduced to two lanes due to road construction, MLK Memorial March participants pass under Interstate 75 on their way to the Dayton Convention Center on Monday morning. 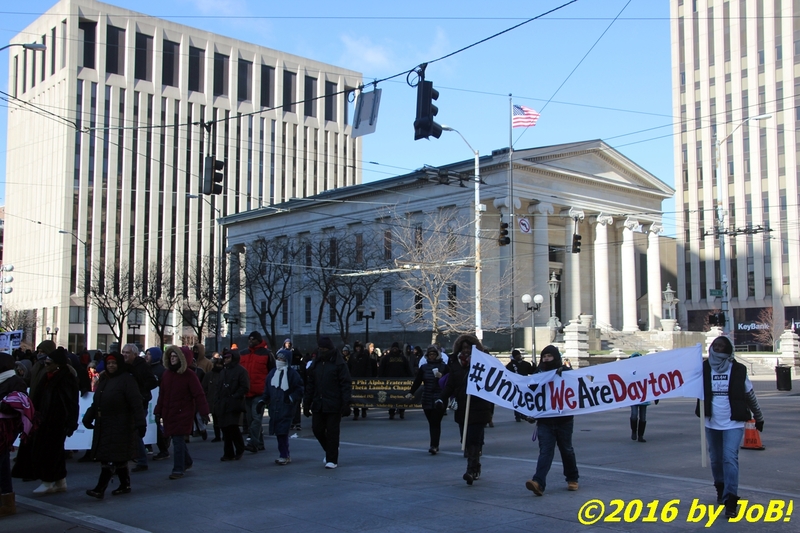 MLK Memorial March participants pass by the historic Montgomery County Courthouse on their way to the Dayton Convention Center on Monday morning. 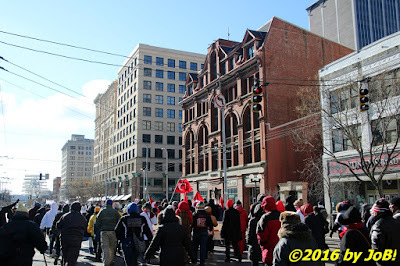 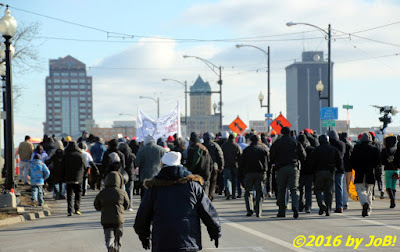 Marchers make their way along South Main Street during Dayton's MLK Memorial March on Monday morning. 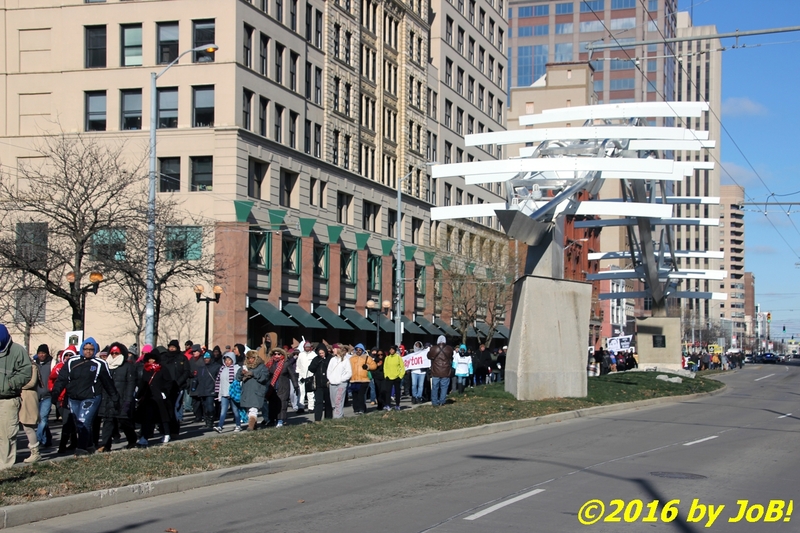 MLK Memorial March participants walk past the city's Flyover sculpture along South Main Street on their way to the Dayton Convention Center on Monday morning. 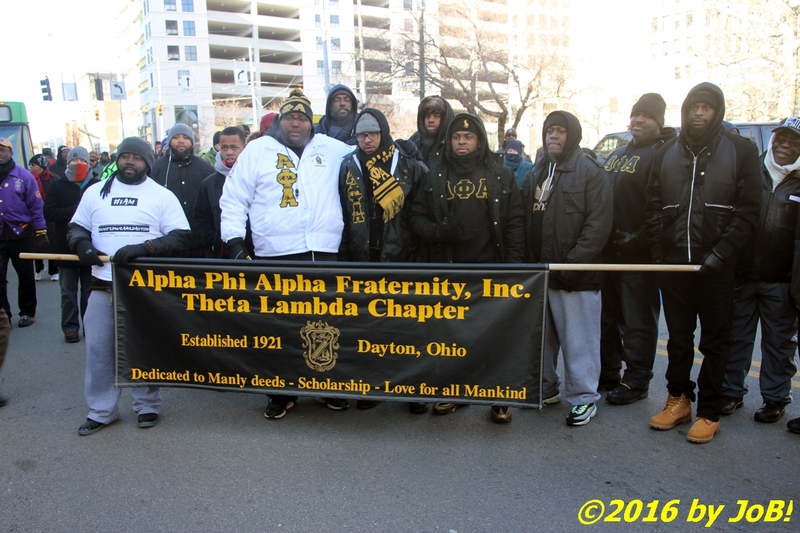 Civic, religious and fraternal groups from the local community displayed their affiliations during Dayton's MLK Memorial March on Monday morning. The Dayton Convention Center played host to the MLK Memorial Rally that followed the march on Monday morning. The Dayton/Springfield, Ohio chapter of the Sigma Gamma Rho sorority hosted an information booth at the MLK Memorial Rally at the Dayton Convention Center on Monday morning. Mayor Nan Whaley, left center, and US Representative Mike Turner, center right, await the start of the MLK Memorial Rally at the Dayton Convention Center on Monday morning. 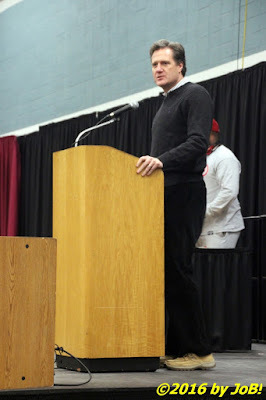 US Representative Mike Turner addresses the MLK Memorial Rally attendees at the Dayton Convention Center on Monday morning. 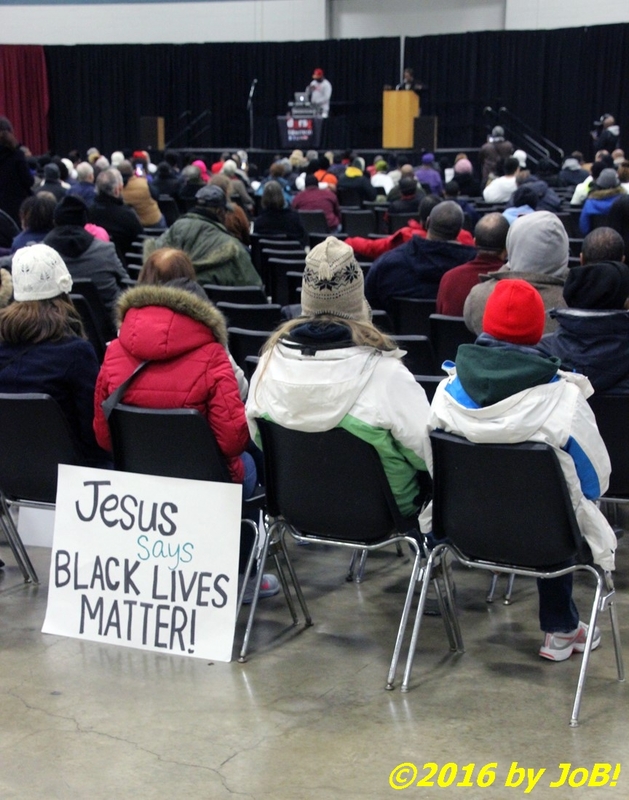 Marchers listen to the lineup of speakers at the MLK Memorial Rally at the Dayton Convention Center on Monday morning.